Initial 6 hours of group facilitation to create your 1-page BYY Plan. 2-3 dates will be offered for in-person instruction or may be completed online individually. Subscription to the annual online version of Best Year Yet© costs $109. In-person training will cost $125 to cover the cost of beverages and snacks. Groups limited to 6 participants. 2nd and 4th Friday of each month at 9:00am MT on Zoom. Additional materials cost of $109 for an annual subscription to Best Year Yet©. Jacquie Fedo is a Certified BYY© Facilitator. She is offering this SIG as a volunteer effort and will not be receiving any payments for her facilitation. 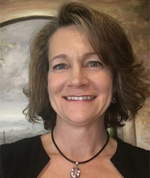 She is a certified coach through Coach Training Alliance, currently serves as the President-Elect for ICF Colorado, and has had her own Business and Leadership business since 2012, called Coaching410. Jacquie has over 21 years of experience inspiring individuals, leaders, teams and executive boards in maximizing their potential and exceeding theirs goals. Jacquie knows how to ignite that spark that intrinsically calls each of us to a higher purpose. Having concrete steps that move you easily into your greater power and confidence is exactly what she does. Be prepared to be bold and lean into your growth edge while capturing greater joy, peace and abundance. Too good to be true? All of this is already within you. Jacquie will show you how to unlock and capture what you desire most.